First: temperature raise near to 260F if I go at low speed or during stop and go or climbing a little hill at low speed and also in the traffic. I already know: I must clean radiator and ac condeser as soon. But I think one fan is not operative. I see car has 2 fans, so I make this try: I run engine and wait for temperature raise. looking at the fans I found the left side fan (the one placed on top and easy visible) don't start. While the right side fan (the one placed at bottom) start only when temperature needle is near 260F. So, anyone know what can be the source of this problem? Second: SRC service light; when I purchased the car the service light was already on. The SRC is actually not operative, so I first check for bad or damged wires, but all visible wires and connectors seem ok. Then I search for a damaged actuator, I pull out one actuator at once, disconnect the car's cable and test the actuator alone, at end all four are working. Then I pull out all four actuators but still connected to their cables on the car; every time I turn the ignition key all four actuators run for about 1/2 turn then stop. Control box cables and connector are also ok. Both fans should run when the AC is turned on regardless of engine temperature. If the inoperative fan spins freely, check the terminal block behind the battery for a blown fusible link - there are about 6 of them and there is one link for each fan. Occasionally a fan will pick up a rock and then the fusible link opens up. If that's what you find, send me an e-mail and I'll help you further. Check to see if each shock's shaft turns easily - you may need a pliers, but they should turn the full half turn. If they do, you should be OK after you clear the stored codes. I know some will perceive this as flippant but, considering the car you bought is complicated electronically and it clearly has a lot of issues, if you are going to try and make repairs yourself, I think you 1) need to be able to read English well and 2) purchase the Factory Service Manual. There are a number of sources for these in the United States, but, unfortunately, the "FSM" is not available in an Italian translation. Also, do not use pliers to turn the shock valves. If you need pliers to turn the valve, the shock absorber is defective. SRC shocks can be rebuild by Bilstein in the U.S.
As for the ECT, first know that the gauges on the instrument panel are highly inaccurate. Unfortunately, the 90s do not have the digital display function that the 91 and up cars had, however, there is a way to put the ECT on the hvac display and it reads in celsius. Problem is I can't remember how to do that and my 90 FSM is not available right now. In the FSM are instructions on how to troubleshoot and service the cooling fans. The small black boxes are called "relays" in English. Lastly, what part of Italy are you in? I have acquaintances in Florence and Milan. Both are Corvette owners and are in the Corvette Club of Italy. in my car only the right side fan run, and only when needle is almost at 260F. the left side fan not only spin freely but also run perfect if I connect it to a 12V source. Will check soon the fusibles. all four shock' shafts turn easily and all shock's parts are not damaged. I don't know how clear the stored codes, please can you tell me how to? Yes Hib, I know well this car is complicated electronically, and also know it has a lot of issues. yes I'm able to read english...not too good, but enough to understand. Will read that article reagarding SRC, surely will be very useful! Sure I tried to turn the shock valve only with my fingers, and all valves are free and still do their job (soften or stiffen car's suspensions) so I think source of problem are not the shocks. Yes relays! now I remeber: I know but forgive the right word! I live in Sicily, city of Palermo. Sicily, eh. Not many roads there. You'll get bored quick. Once you get your service manual, I'd use it's instructions to diagnose the cooling fans. Also, in the section of the book on HVAC, you'll find instructions on how to get the A/C display to show engine coolant temperature in degrees C. That will allow you to see what the actual coolant temp is rather than just guessing at it based on the inaccurate gauges. hmmm not too bored....don't forgive Hib, Siciliy is the land of world famous Targa Florio race Here we have so many curves that every road become a racetrack! Also I see there are at least 3 manuals: a manual for c4 corvette; a manual for LT5 engine, and a manual for elecrtical system. I must purchase all manuals, or there is a single big manual including all of all? You know a source selling FSM online? And a source selling new PROM? I think my prom is bad because the car stalls, suffer of rough running and has high idles. You need all three books. You are correct they are year specific. Most likely not the Prom. I'd check the Map Sensor hose at the back of the engine. Search the forum for information on what to look for. Many thanks Rich, wil search for all 3 books. Will check the map sensor hose. But I know there is a better replacement for early type prom. So I want replace the prom also if maybe it working at his best. If you look for these books on eBay be certain you're getting the correct books before you bid. Do not bid on any FSM with a white cover. Those are preliminary 90 manuals. 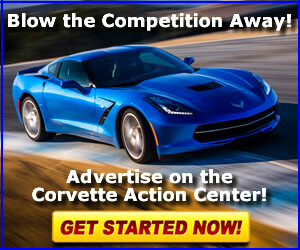 You're better off buying the books new from either Helm, Inc. the publisher or one of the Corvette parts vendors in the U.S. such as Zip Products. 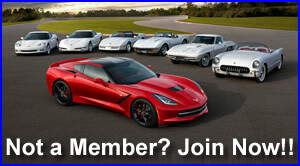 From that site you should also be able to subscribe to the ZR1 net email list. Zr1 net registry is very good! Your suggestion about cooling fans was very useful! Behind the battery I found 10 fusible links, all connected to a single bolt, all fuses look well (I tried to gently pull out and push is) so I clean all wire terminals, and all two fans now running ok when I turn on the AC! Now I must try if cooling fans run right also when I drive the car. After cleaned wires terminals, also the windishield wash motor reborn! Cooling fan - 18 1/2" 6 or 7 Blade? ?